Assalamualaikum and best wishes to all My Pals. I’m addicted. Yes, I’m already addicted. Don’t worry I not addicted to the drug. Until now, I never ever think to touch the drug. Never ever. Thanks to Allah swt, till now, 28 years I’m still never smoking. But I never condemn the smoker because 75% of my friend are smoker. Right now, I’m addicted to bought the book. 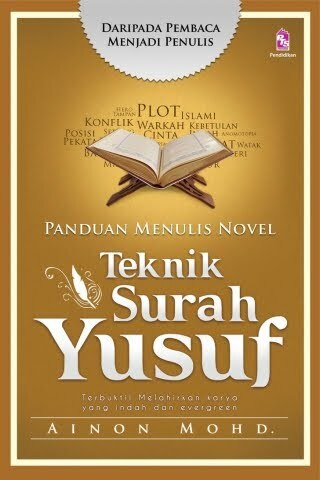 Not the novel, my wife love novel and sometime I also read it, to fill my time. Yes, I read love novel, but I never think I’m to romantic like Seth Tan (Nora Elena drama). Never I think. Now day, I spend some money to bought the book. Already about a year I like to bought a book but lately my sickness too critical. I bought 3 to 4 book a month. I’m bookworm. No!!! I’m not bookworm. I just love to buy a book as my collection. And read it to fill my time. And the first ever my e-book, the e-book Rahsia Jutawan Hartanah by Abang Ensem. Next, e-book might be AriffShah‘s e-book. My teacher’s say ‘Read the book. Reading makes us a years ahead’.